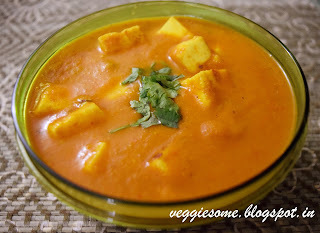 An awesome Paneer recipe that's tasty as well as healthy at the same time. 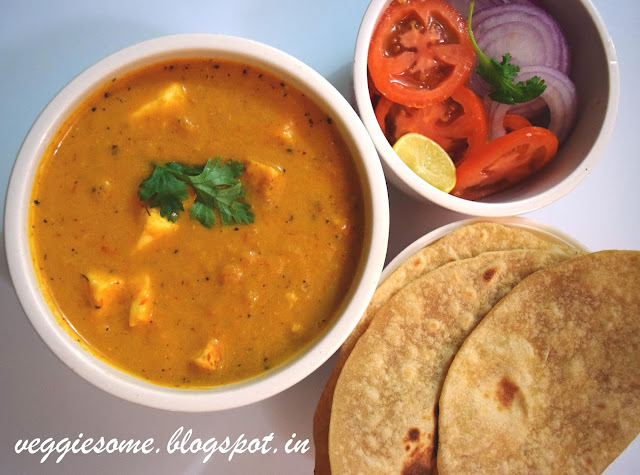 Yes, Paneer Makhani without butter !!! Boil the ingredients mentioned above for the paste in water. Let it simmer for 10-15 minutes. Switch off the gas and grind to a fine paste on cooling down. You can also sieve the paste to get a smooth gravy. 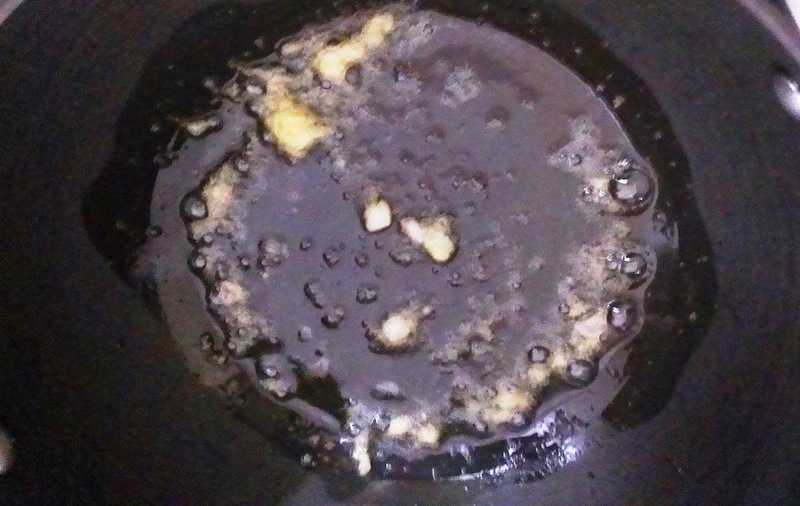 Heat 1 tsp oil in a pan and add ginger-garlic paste and sauté for a few minutes. 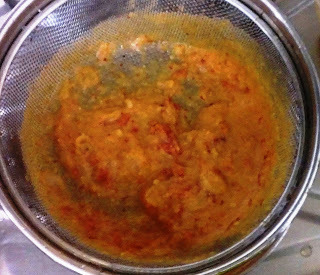 Add the prepared paste, salt, turmeric powder, dhania powder, jeera powder and simmer with the lid closed for 10 minutes. 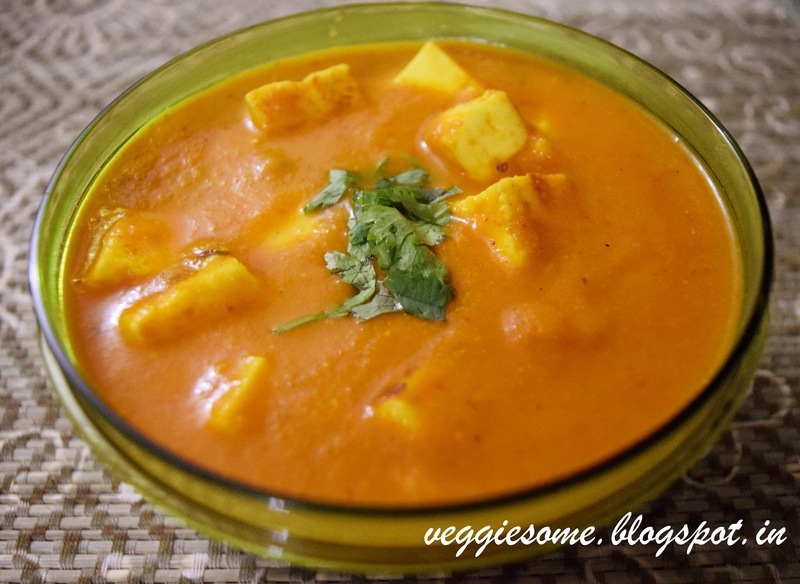 In the meanwhile, heat 1 tsp oil in a tava and place the paneer/tofu slices as given below. 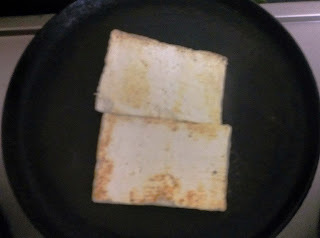 When both sides are lightly browned, remove and keep aside. You can cut them to cubes on cooling. 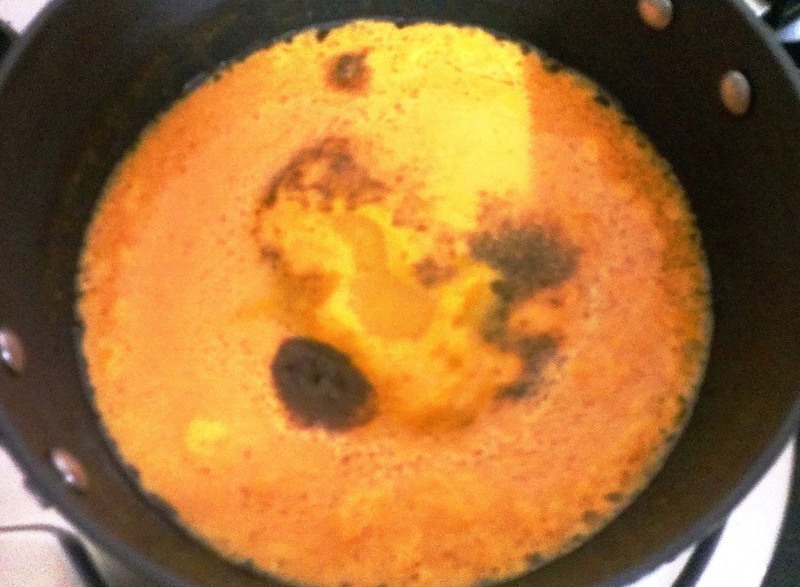 Proceed to the gravy, add paneer, garam masala and kasuri methi. Adjust spices and salt to your taste. Switch off the gas and add milk/cream/yoghurt. Add chopped coriander leaves for garnish. 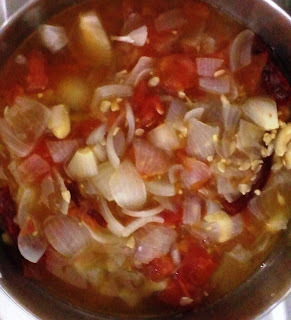 Serve hot with rotis, phulkas or plain rice. Labels: gravy, paneer, paneer makhani, vegetarian. Love the colour and the idea of low fat paneer!